It’s not officially summer in our household until we’ve sat down to enjoy a refreshing glass of Pimm’s. And that’s a fact! 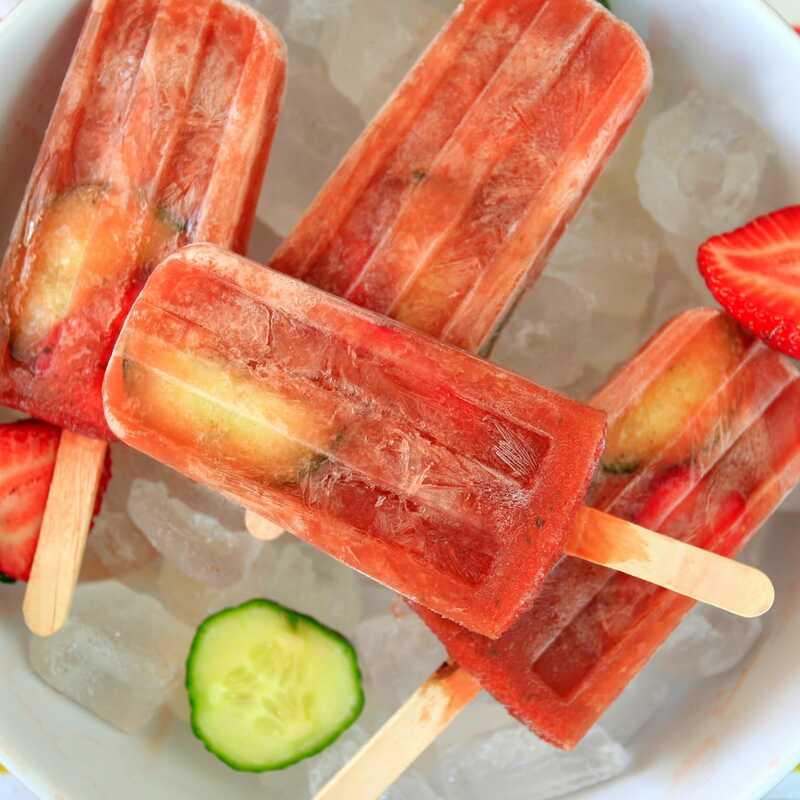 But this summer we decided to switch things up by combining two of our favourite summer treats…Pimm’s and ice lollies. Ice lollies aren’t rocket science. All it takes is blending the ingredients together, freezing the lollies and away you go. But the trick is finding the right balance of flavours, and we’ve really hit the spot with these Pimm’s ice lollies. The fruity liquor, fresh mint and fizz from the lemonade are a winning combination. Enjoy! Oh, and don’t forget you will need an ice lolly mould with at least six moulds. Combine the Pimm’s, mint leaves, 4 strawberries, juice from half a lemon and orange juice in a blender. Once combined, add the lemonade and stir the mixture with a spoon. Prepare the fruit by cutting the cucumber slices into halves and slicing the remaining strawberries. 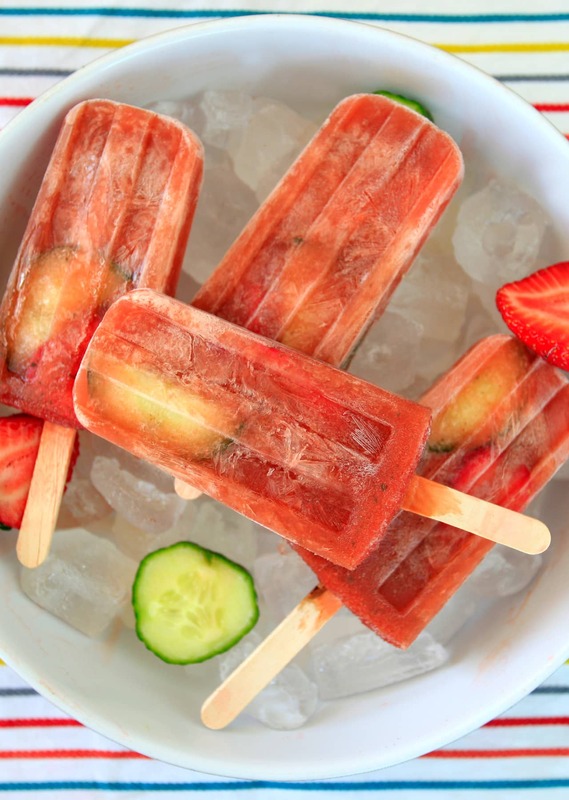 Drop half a slice of cucumber and half a strawberry into each ice lolly mould. Pour the mixture evenly into each ice lolly mould. Place lid on ice lolly moulds and push a wooden stick through the centre of each mould. Freeze for minimum 5 hours or overnight.